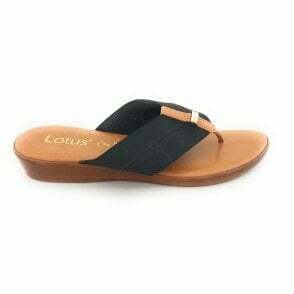 Embrace the summer in style with the Alpine open-toe sandal by Lotus. 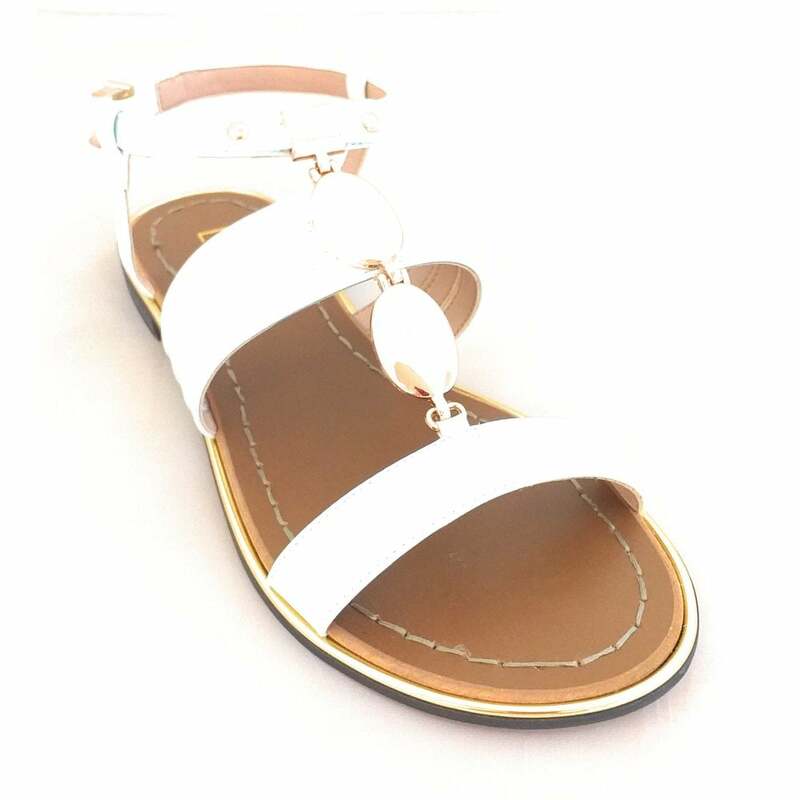 The white patent strappy upper features a gold t-bar design with adjustable buckle fateniung for a secure fit. 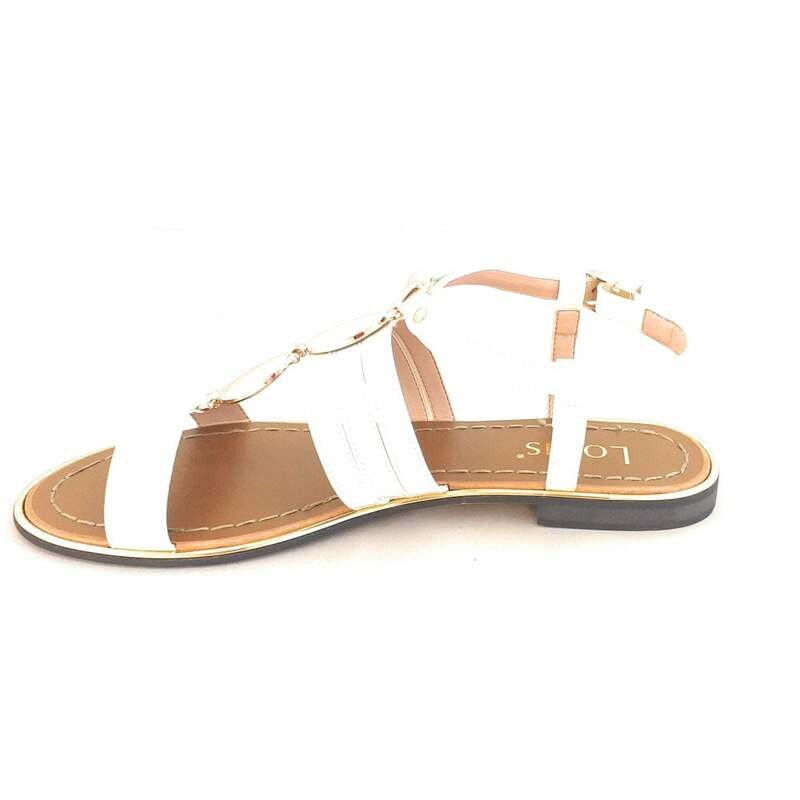 This warm weather must-have looks great with shorts or floaty dresses.